[...] Still rough edges to be sure, even in this 12.04 release (we are not going to be able to land locally-integrated menus in time, given the freeze dates and need for focus on bug fixes) but we will SRU key items and of course continue to polish it in 12.10 onwards. We are all developers, and we all use it all the time, so this is in our interests too. See our initial post about locally integrated menus for more info. 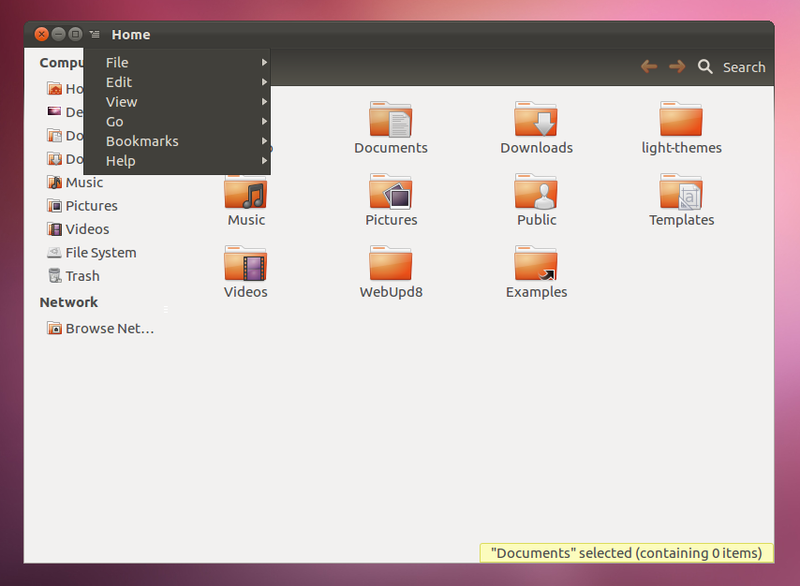 LIM (locally integrated menus) is available in a PPA for Ubuntu 12.04 users though, but the PPA is not fully functional right now because Ubuntu 12.04 has newer Metacity and Light Themes versions than the ones in the LIM PPA (you can install them by using Synaptic though). But even when the packages in the PPA weren't older than the one in the Ubuntu repositories, there was a bug and LIM only showed up for unmaximized windows when they were resized.